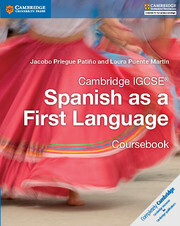 This resource helps teachers support students through the Cambridge IGCSE® Spanish as a First Language course. Tips and suggestions for lesson planning and classroom activities, advice on differentiation, and clear explanations of the pedagogy aims of the coursebook help teachers make the most out of this suite of resources. 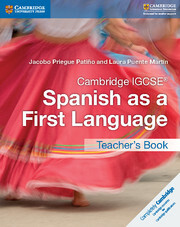 Written by practising teachers, this resource offers tips and suggestions for lesson planning and classroom activities. 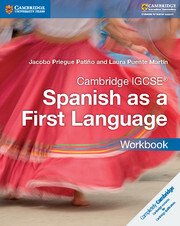 Explains the pedagogical approach and suggests further exploitation of activities in the coursebook. Provides model answers to the exam-style questions and, where relevant, offers possible answers to the activities in the coursebook.